Induction or magnetic, electric heat, however, has completely changed with upscale brands like Wolf, Miele, Viking, Fisher & Paykel, and Dacor offering interesting new products and features. You also will see bigger price differences when you consider different range types like front control and slide-in for aesthetics (you will see your kitchen backsplash) and then induction for performance. 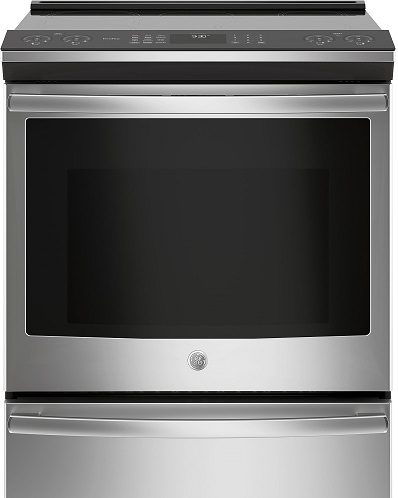 Out of the 1000s of models available, you will see the 19 best covering freestanding, slide-in, and induction 30 and 36-inch ranges. We picked the 19 best by their features, prices, and most importantly, reliability. Our reliability statistics are based on our 34,687 service calls logged in 2018. 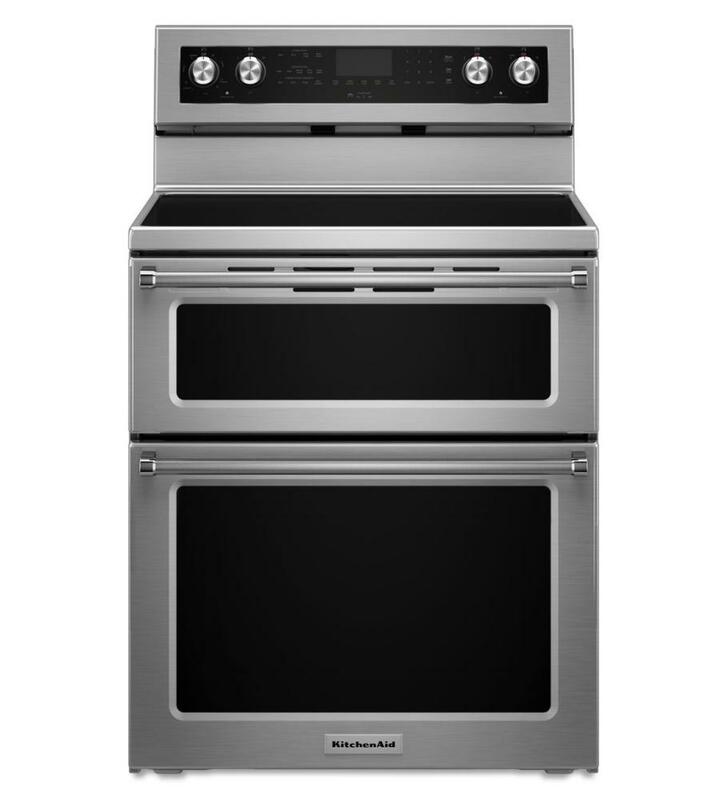 Electric ranges after hoods and grills are the most reliable appliances sold. It is repaired about 7.8% within the first year almost half the average of appliances at 14.3%. Most reliable brands by percentage are Whirlpool, LG and Samsung. You can read more about the most reliable electric ranges by clicking this link. It's very similar to the range you probably now own. However, Samsung has a 5th burner. This range is nice looking. Samsung offers convection and various burners for the various pots and pans. It also has a 20-minute steam self-cleaning cycle rather than 3-hours. We haven't had GE in almost six years. Their strength has always been cooking (and refrigeration). 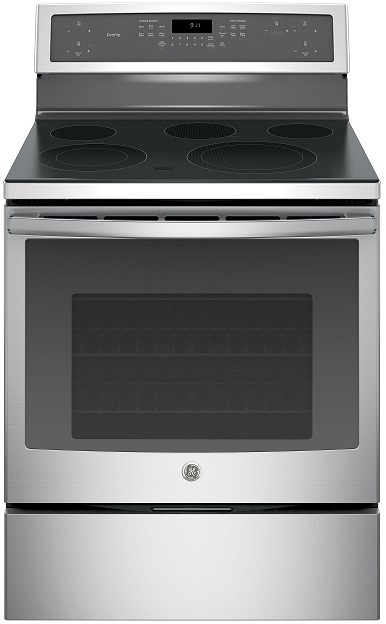 The PB911 has convection and 5 burners including one 12-inch burner for large pots. It has cool, digital touch controls as well. KitchenAid is brand new and restyled to look more professional. It has flexible burners for almost any pan. This is a true double oven range with the bottom oven being convection. You can cook dessert and the holiday bird with this oven. 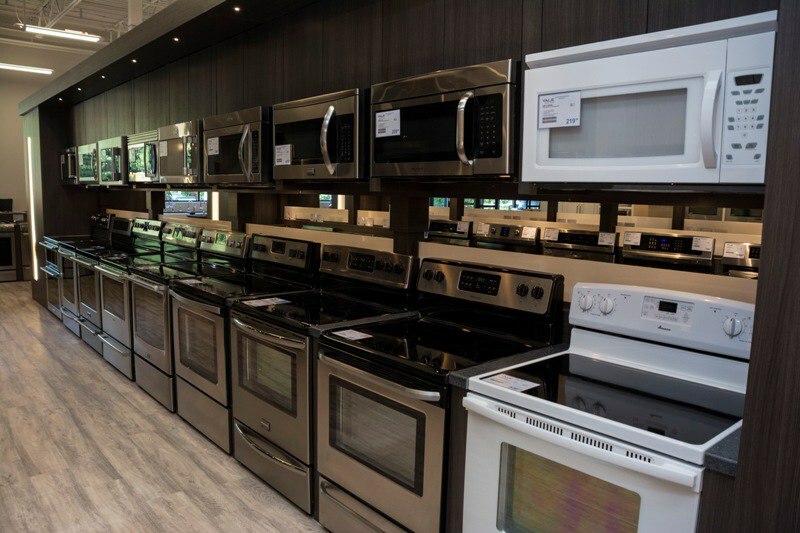 Samsung dominates the electric slide-in range market with modern styling, convection, and a price far below its competitors. This is a great range for the money. Their front control ranges have an industrial look as well as an easy convection conversion button. Large Capacity of 4.6 Cu Ft. 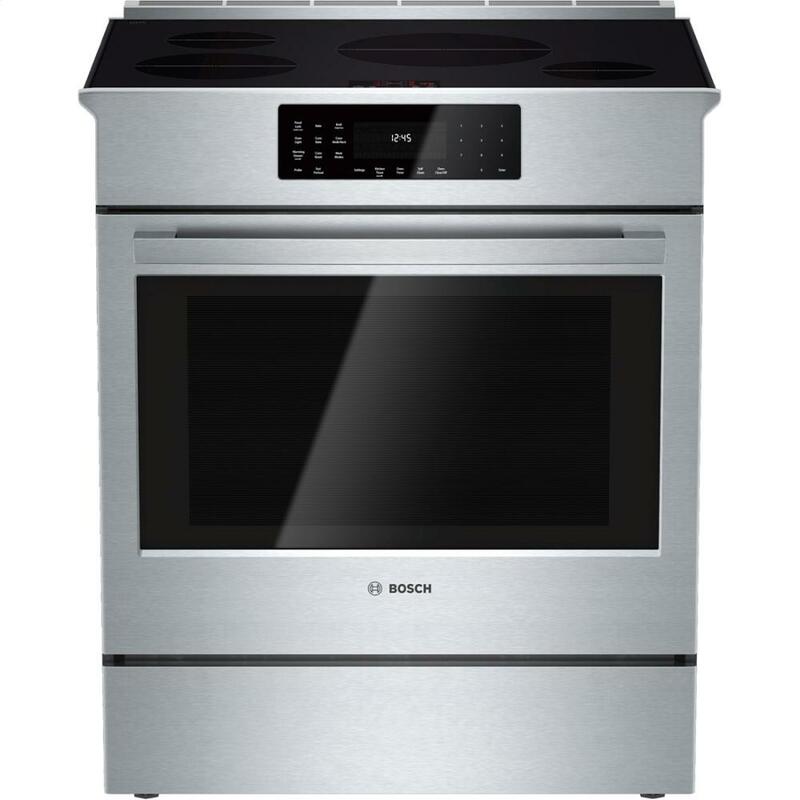 Compared to Samsung, Bosch has high-end features, better rebates, and stellar kitchen packages. 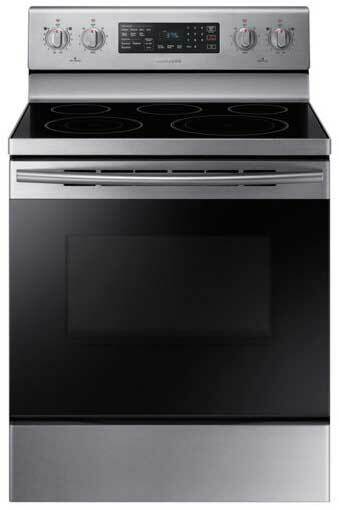 This model is the best executed 2 oven range. 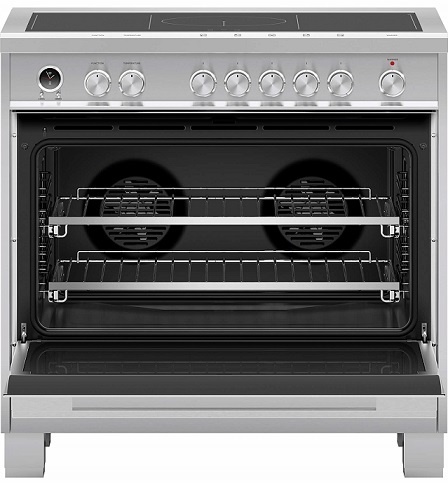 Instead of a smaller permanent oven and a larger oven below, you have flexibility on this oven with a removable divider. Both ovens are also convection. You can also remove the divider for one big oven. 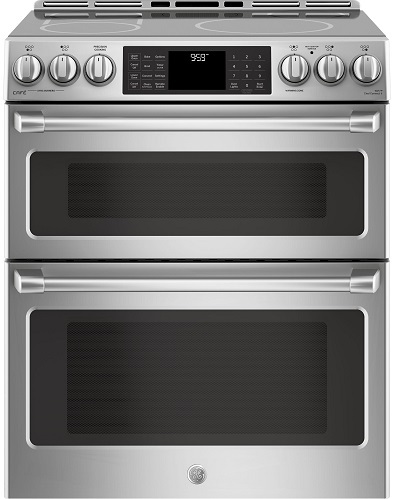 Let's move on to our top induction ranges. 30" Range - Make a statement with our 30" full-depth range that offers the refined look of Jenn-Air(R) appliances while easily installing in a standard opening. Telescoping Glide Rack - This roll-out rack lets you easily position and removes dishes. Soft-Close Door - Soft-Close technology lets the oven door close softly, quietly, securely. 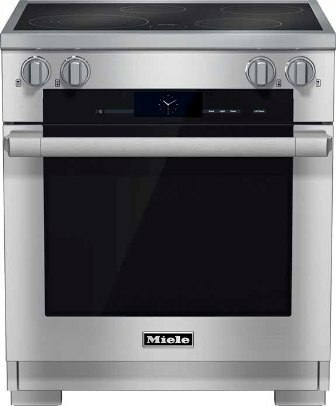 6.2 Cubic-Foot Oven Capacity - Ideal for entertaining, this oven offers a generous capacity to cook multiple dishes at once. Rapid Boil Element - 3,200 watts of power boils liquid quickly, and the element's wide temperature range adds flexibility to simmer sauces and cook foods at low temperatures. 6-Inch Warm Zone Element - Keep your finished menu items warm until they are ready to be served, or while other items finish cooking, with this 100-watt element. Jenn-Air like KitchenAid has a much larger oven capacity than the average by about 20% by placing the controls on the top and reducing the size of the bottom drawer. Have a big family? Then consider Jenn-Air. Induction ranges are serviced more than twice the average at about 28% up from 16.77% in 2017-2018. It's interesting because induction cooktops are reliable. Many of the service calls are minor. One tip: You should place an induction range on a separate circuit or it becomes more prone to voltage spikes. The performance of induction versus electric is still compelling and worth considering. I would advise an extended warranty, but those tend to create more aggravation as well. Most reliable brand would be Samsung. You can read more about the most reliable induction ranges by clicking this link. Samsung has a cool induction range. The top features LEDs emitting blue light, so you know the unit is on. You also will have better baking with two convection fans as well. Another great consideration with digital controls. The GE Profile has the larger element plus a bridge element for oblong dishes. You can also monitor and turn your range on remotely through Wi-Fi. The KitchenAid induction is a double oven with convection which converts your recipes into convection recipes automatically. Bosch features auto chef which constantly monitors the burners for temperature. You also have convection and a warming drawer. 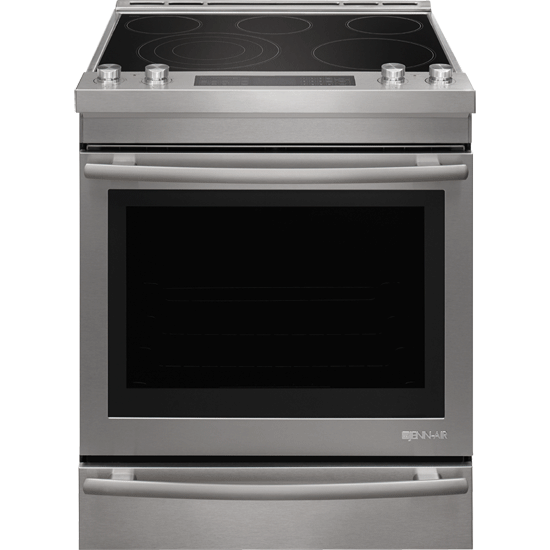 The Jenn-Air slide-in offers the largest cubic footage, convection, 5 burners, and separate baking drawer. The GE Cafe is interesting. It is available in a number of finishes like Black Slate and White. You can also customize with different handles and knobs. If you want white with copper accents, the GE Cafe is your only choice. 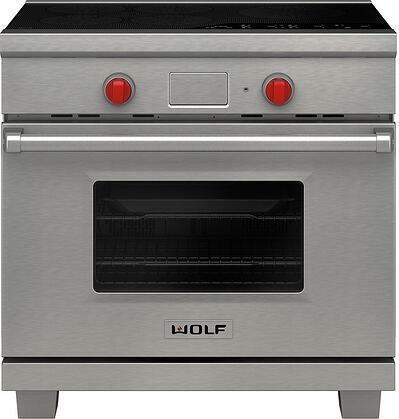 It's a functional range with a bride element, double oven, and Wi-Fi. Like GE, Fisher & Paykel is part of Haier. This range has every type of cooking mode including ones just for pizza and pastries. 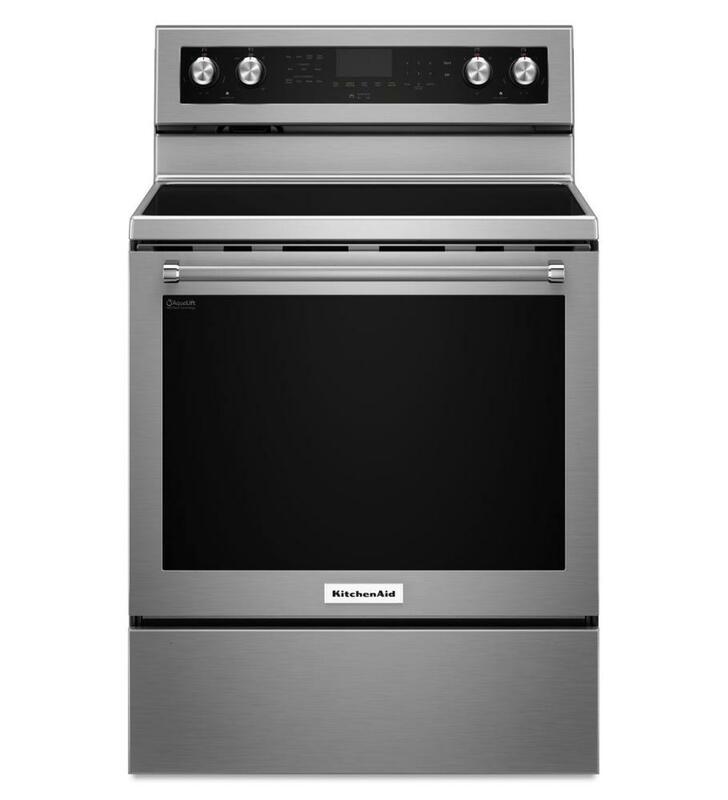 The 36-inch model has twin convection and a warming drawer as well. 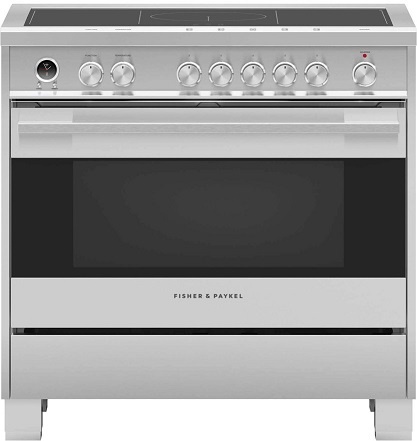 Fisher & Paykel adds a 5-year warranty. However, that does not guarantee good service and qualified technicians...make sure you investigate who can fix sophisticated appliances before you buy them. 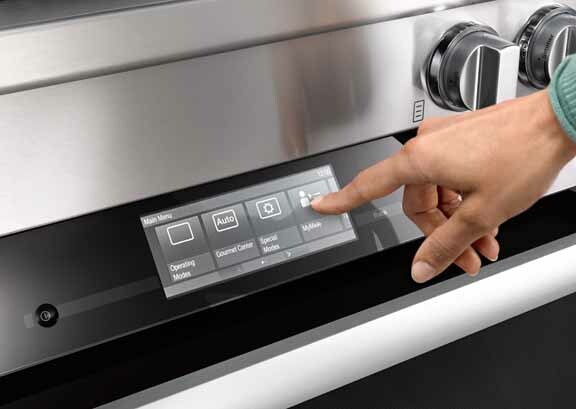 Miele will have the most intuitive controls of any cooking product. You just input the type of food and how you want it prepared, the oven will calculate time and temperature. You also have steam assist for baking bread or hardening foods like the top of lasagna. You have 16 automatic recipes just for bread in this oven. Wolf was the first with twin convection. Because each fan has its own thermostat, Wolf can keep better temperature. It is also available in 30 and 36-inch sizes. 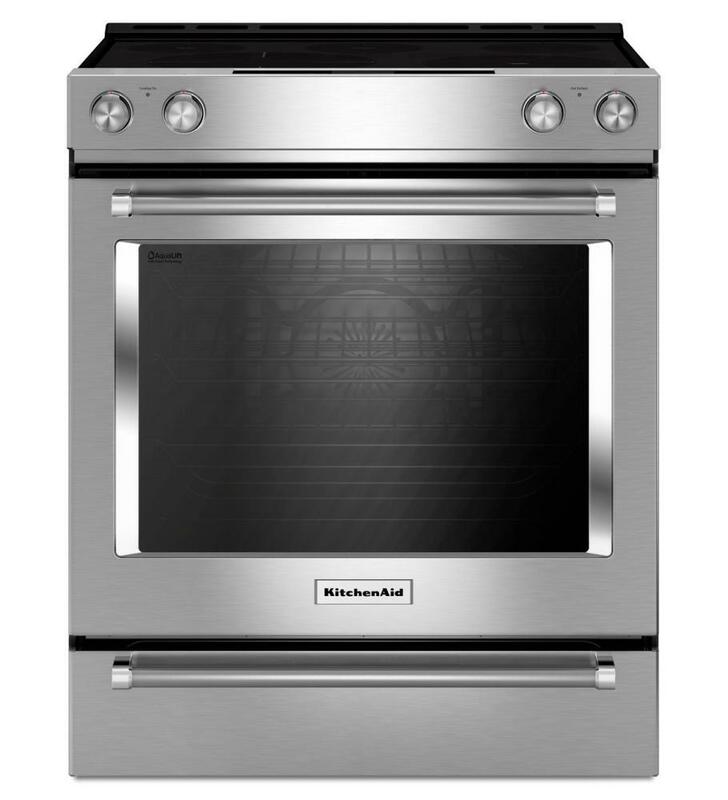 You buy an electric range on features like convection, fifth burner, oven with warming drawer or two ovens. Then you buy for the style the front control/slide-in look better in a renovation. You may also want to consider front control with a newer renovation because you can see your tile and backsplash. It will look better in your kitchen. Induction is the best performing cooking you can buy whether you boil or simmer. It's also the safest because it requires steel to activate, so your kids cannot turn on the induction stove by accident. 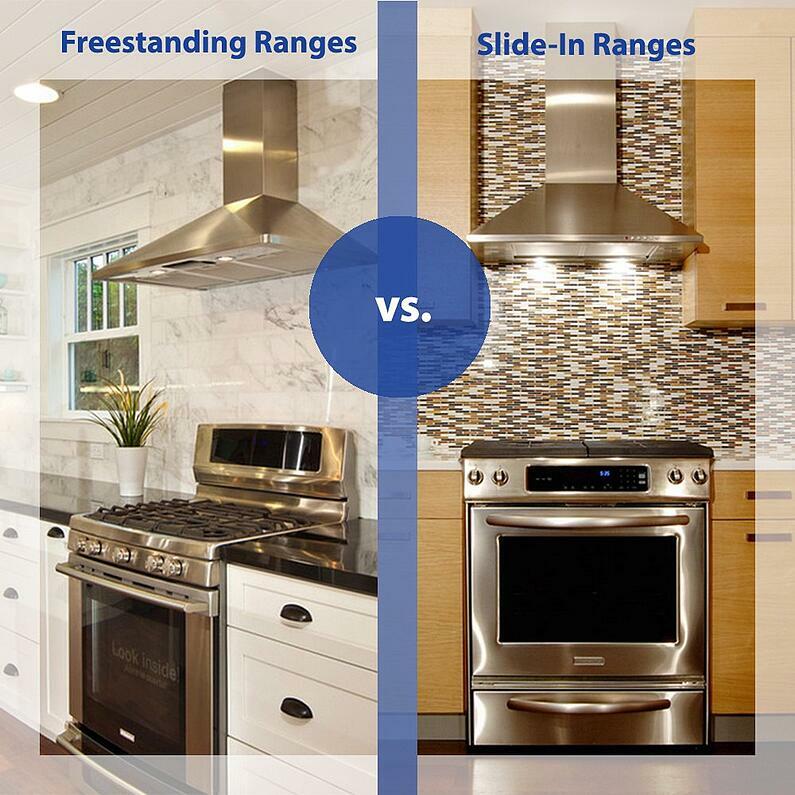 Freestanding ranges have the controls on the back while slide-in ranges and front control ranges have their controls on the front. Freestanding ranges will be less expensive with similar features. Slide-in ranges will look better because you can see your backsplashes. The ranges may look the same, but there is one crucial difference. You do not want to find this out on delivery. 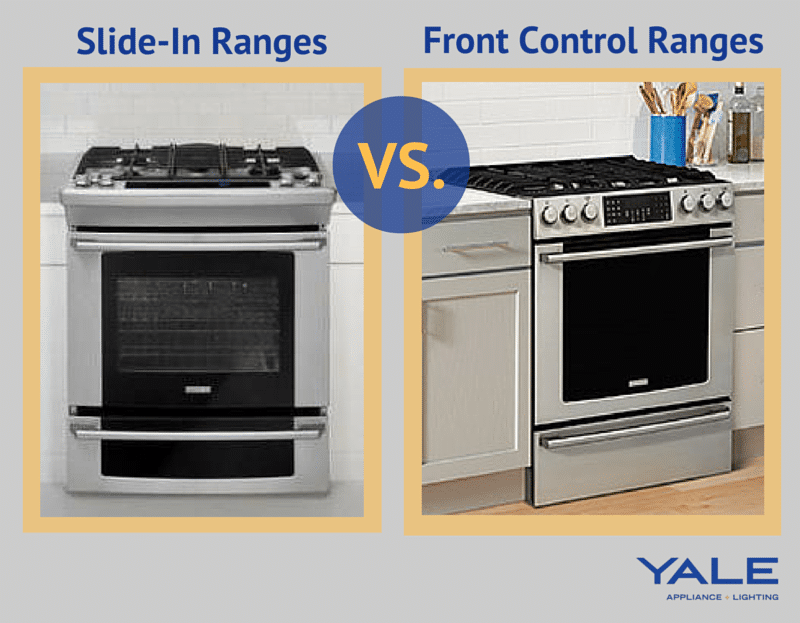 Front control ranges can replace a 30-inch range. Slide-ins are installed on the counter, so it is easier to clean without seams on the sides. However, slide-ins cannot fit an existing space without minor cabinet modification. Induction has changed the market for electric cooking. Induction cooking uses a magnetic heat, which excites the molecules in the metal pan to heat the food faster with an instant simmer response. 2Is Induction Right for You? Is Induction Right for You? Induction is, in fact, faster than the hottest professional range and 30% more efficient. It's the most child-safe as well because the magnetic burners only turn on with metal pans. 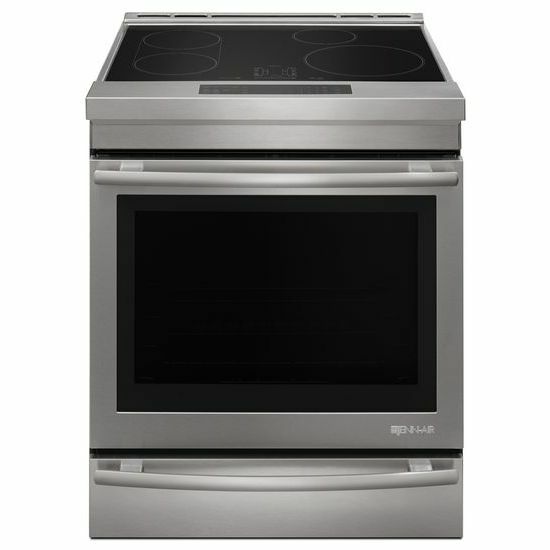 Most high-end ranges are now sold as induction ranges. Download the Yale Induction Cooking Buying Guide with features, specs, and inside buying tips every induction cooktop and range from Wolf, Thermador, Frigidaire, Electrolux, Jenn-Air, Bosch, and more. Well over 500,000 people have read a Yale Guide.